Once considered the preserve of higher education institutions alone, the movement of students between countries to study for their undergraduate course, Master’s degree, PhD or even just a one-term language course has now become a mass movement. According to the OECD, between 2000-2011 the global population of internationally mobile students more than doubled from 2.1 million to nearly 4.5 million. Asian students currently represent the largest ethnicity group (53%) studying abroad worldwide, and they are increasingly choosing to do so closer to home rather than study in the traditional market of the US or other native English-speaking countries. The volume of student travellers, and their considerable spending power, is thus giving rise to new partnerships between the education sector and destination management organizations across the Asia Pacific region. Whether for school excursions, college field trips, student exchanges or higher education studies overseas, the opportunities for young people to travel through their educational programme is greater than it has ever been. Moreover, travelling for the purpose of study in a safe, planned and controlled environment offers the first taste of travel for many young Asians. This, combined with the fact that travelling before, during or after an overseas study programme often provides the opportunity for more prolonged periods of leisure travel overseas than would typically be culturally acceptable or possible back home (see the case of young Korean students and employees in chapter five), has made destination marketers take a new look at student travellers as a target market. As a result of economic globalisation and heightening of governments’ awareness of the perceived links between education and economic competitiveness, a large number of governments have pumped billions of dollars into increasing the number of higher education institutions and boosting student enrolments. In Asia, this expansion of enrolments has meant that many countries, such as Republic of Korea, China and Singapore, have made rapid transitions from an extremely elite system of limited access to a university education, to a mass higher education system. The expansion has, however, failed to keep up with domestic demand as parents and students flock to higher education as a means to improve or maintain socio-economic mobility and enhance individual competitiveness in the job market. The increasing demand, coupled with the financial power of the growing middle classes, has in-turn fuelled the trend for students to choose to leave their home countries in search of an overseas university education. Until the mid-1990s, the overwhelming destinations of choice were the traditional English-speaking countries such as the United States, the United Kingdom and Australia. This choice made sense in view of the predominance of English as the global language of business, science and technology. Beginning in the mid-1990s, countries such as Malaysia began capitalising on the international appetite for higher education by positioning themselves as education hubs. The economic benefits of becoming an education hub are clear since international students contribute financially not only through the payment of tuition fees, but also in a variety of other ways: travel, accommodation, leisure activities, food and clothing purchases. In short, the above factors combined with a relative decline in the cost of travel and communications has meant that increasing numbers of Asian students are choosing to study in another country, but within their own region. To capitalise on this, many big-name academic institutions from the United States, United Kingdom and Australia have established branches overseas to attract students attracted by their ‘brand appeal’ but less able to afford the costs associated with studying in an English-speaking country. Students from Europe, the US and Australia are also attracted to overseas campuses to gain overseas experience and, of course benefit from lower fees too. Examples of this include Nottingham University’s (UK) campuses in Ningbo, China, and Semenyih, Malaysia or James Cook University’s (Australia) campus in Singapore. As the OECD indicates, global student mobility patterns typically mirror intra-regional migration patterns as well as the evolution of geopolitical relations. However, the sharp increase of the number of internationally mobile students prepared to invest considerable amounts in their overseas education has created intense competition between Asian countries and institutions for enrolments. This market oriented approach has forced many governments to turn to destination marketing organisations’ experience in order to gain a competitive edge. Tourism Malaysia’s collaboration with the country’s Ministry of Education is an example of this. Similarly, in 2003 Singapore’s government created Singapore Education (now the Council for Private Education) with the cooperation of the Singapore Tourism Board to help promote Singapore as an education hub for overseas students. When designing programmes to attract overseas students, marketers have to bear in mind that the decision of where to study and what to study is rarely left entirely to the individual student. As consumer research for this report shows, the students’ immediate family (most often parents) is the primary source of funding for all types of trip and therefore they will have an important say, if not the final decision, in these matters. University tutors, acting in line with exchange agreements between home and overseas institutions, as well as government bodies and scholarship foundations (domestic or overseas) providing funding will also bring considerable influence to bear on this decision. According to a 2001 Education World Survey of one thousand undergraduate students who travelled abroad from ten Asian countries, mobile students’ key choice factors’ were ‘country’ (54%), ‘course’ (18%), ‘institution’ (17%) and ‘city’ (10%). The part of a student’s destination choice outside of the strictly academic criteria may be influenced by a range of factors that appeal to students’ consumer emotions. Research conducted in 2014 among students from 152 countries by the International Student Identity Card (ISIC) Association identified four student ‘mentalities’. These mentality orientations are based on students’ personal norms and values; by means of which they distinguish themselves from and identify with others in respect to their own lifestyle and opinions. The report Understanding the Global Student Mentality: Differentiation in a Plural Student Population revealed that of the four identified mentalities (‘loyalists’, ‘hedonists’, ‘conservatives’ and ‘liberalists’), ‘conservatives’ were the dominant mentality in Asia. These students typically place a high value on spending time with family and friends, engaging with other cultures, and travelling. Overall the study revealed that 67% of Singaporean students, 62% of South Korean students and 51% of Chinese students had a strong interest in travelling. Finally, the elements of a study destination that also make for a good leisure destination are likely to create a strong appeal to young consumers making their choice of where to study overseas. Elements that make a particular destination ‘cool’ and fashionable such as a destination’s youth culture can create a strong attraction. UNESCO cites the example of Korean pop music, soap operas and movies being popular among Chinese youth contributing to the number of Chinese students studying in Korea. Over a period of ten years, the figure has multiplied 33 times, from 902 students in 1999 to 30,552 in 2008. 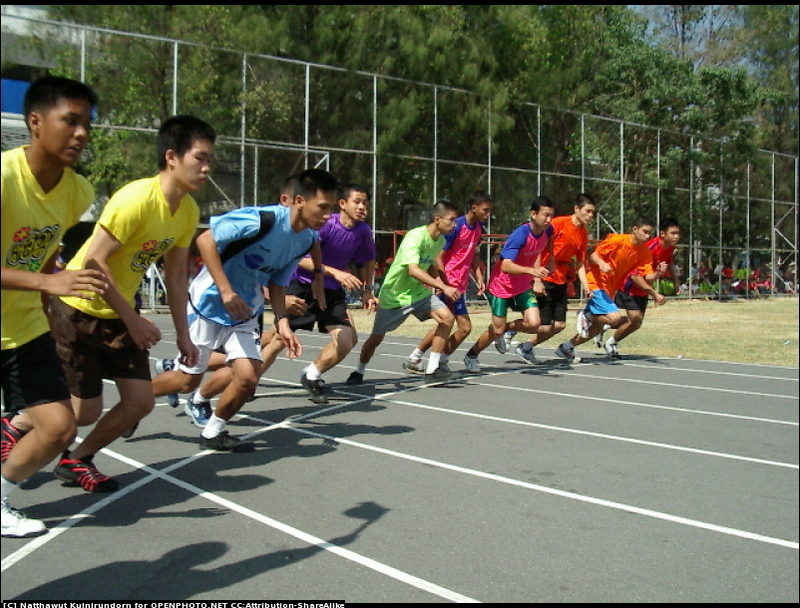 Given Asian students’ desire to travel, combined with the high cultural values placed on stability, personal safety and security (appealing to both students as well as their parents), it is destinations that are able to offer the right mix of connectivity, a good cultural offering in a safe environment that are most likely to benefit from the boom in young Asians’ desire to study overseas. Visit the PATA e-Store where you can purchase the full report The Rise of the Young Asian Traveller, or view the Executive Summary. Section adapted from: UNESCO (2013) The International Mobility of Students in Asia and the Pacific, UNESCO, Paris. UNESCO (2013) The International Mobility of Students in Asia and the Pacific, UNESCO, Paris.